Happy birthday to Super Eagles coach Gernot Rohr. The staff at the Essentuki Team Base Camp offered him a cake and bouquet of flowers to celebrate his day. 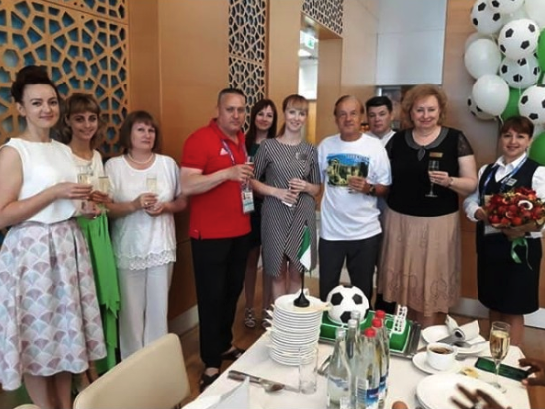 0 Response to "Super Eagles Coach, Rohr, Celebrates His 65th Birthday With Family (Photo)"